Update – now extended through Jan 20th! This show’s the cat’s meow! How to take a mammoth Broadway production and shrink it without sacrificing dramatic quality or big, broad, showbiz appeal? 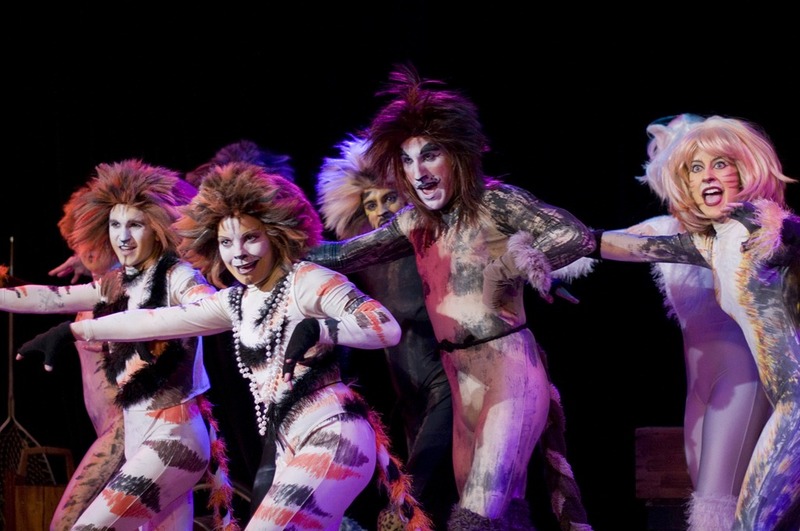 Theo Ubique Cabaret Theatre accomplishes that transformation with Andrew Lloyd Webber’s Cats, under the lively direction and choreography of Brenda Didier. Didier’s collaborations with Theo Ubique’s Artistic Director Fred Anzevino bore fruit last spring with their Jeff award-winning production of Chess (our review ★★½). Well, it looks like Cats is poised to pounce on the holiday theater season and swipe all the public’s attention. Whittled down to two hours and only 13 actors, Theo Ubique’s production is a model of economy and stagecraft. But, rather than going along with the old “less is more” meme, it seems Didier’s modus operandi is to give the audience more with less–driving her exuberant cast to make immediate, intimate and vivid connections with the audience while precisely mixing dance elements to build excitement and evoke huge emotional response. Her gamble pays off—Broadway excitement achieved on a stage 8 feet by 22 feet. In the whirlwind of musical numbers, it’s a wonder none of the dancers bump into each other or fall off the stage. Naturally, it helps to have a super-tight ensemble orchestra under the direction of Ethan Deppe. They are the train that drives this production. Every other layer of theatricality has been preserved as much as possible. Costumes (Matt Guthier, with Michael Buoninconto on wigs) and makeup (Izumi Inaba) maintain the big, Broadway tradition while Michael Narduli’s lighting design reinforces the magic evoked by orchestra and cast. Even the old-fashioned Christmas lights circling up above the stage imply a magical setting to the audience enjoying dinner before the show. Opening night’s energy started a bit slow. Beginning with T.S. Eliot giving his poetry to a girl in a white dress with a blue satin sash, the initial introduction of “Jellicle Cats” came off a touch stagy until “The Rum Tum Tugger” (Tommy Rivera-Vega) gave the audience a bit of Brando-slash-Elvis for us to remember him by. “Mungojerrie and Rumpleteazer” (Elliot Burton and Maggie Portman) boost the proceedings with a ton of delightful play and buoyant energy. 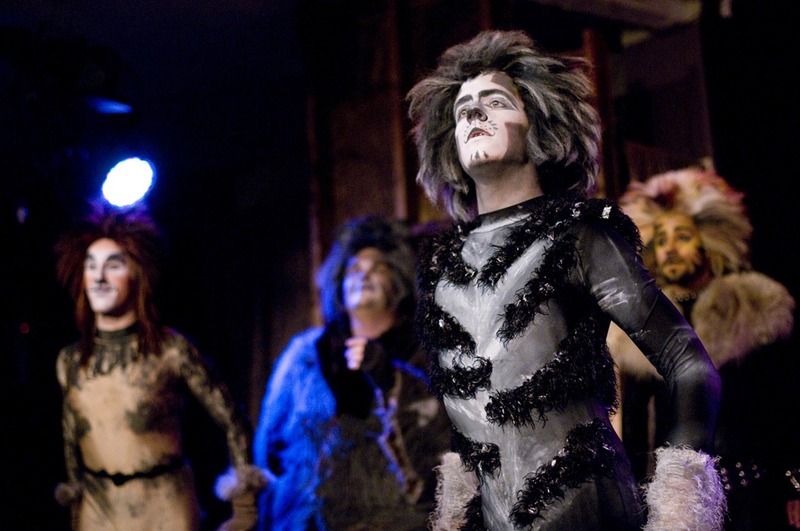 The cast’s build-up to the entrance of Old Deuteronomy (Matt McNabb) really sets the element of magic and mystery; McNabb’s elegant tenor voice certainly confirms his mystical authority among the Jellicle Cats. At the introduction of Grizzabella and the first round of “Memories,” Sydney Charles delivers an unmistakable depiction of feral abandonment and alienation. Cats’ theatricality truly soars in the second act. Growltiger (Brian-Alwyn Newland) and Griddelbone (Hillary Patingre) nearly bring the house down with the lush gorgeousness of “The Siamese Italian Aria.” Costuming goes the extra mile by donning the enemies of Growltiger with elaborate Thai headdresses and tunics and the women of the company really get their Siamese on to take out Growltiger. Burton gets a chance to shine again as “Shimbleshanks: The Railway Cat” but his triumph is really the cast’s in their coordinated build-up to the number’s complex and colorful finale. 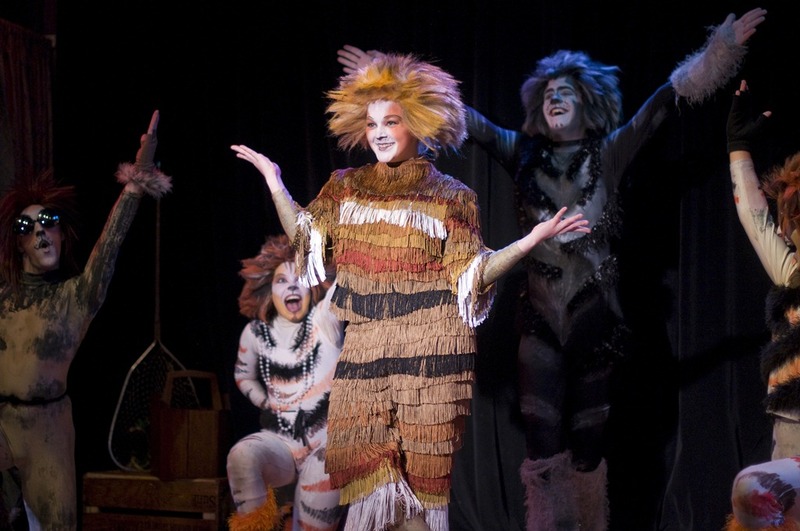 By the time Old Deuteronomy must select the cat that will go on to live another cat life in “the Heaviside Layer,” the audience has become heavily invested in this alternate world and the logic by which it exists. In fact, so long as the music and dance keep going, we might never want to leave. Theo Ubique has put another feather in its cap (or should I say “cat on its lap”?). Hooray for them and lucky for us to get this furry, magical and whimsical dream against the darkening winter ahead. Update: Due to a misrepresentation (i.e., error) in our critique of this production, this review has been adjusted to address the inaccuracy. To Theatre at the Center and the production’s personnel, my apologies. Scotty Zacher, Editor. 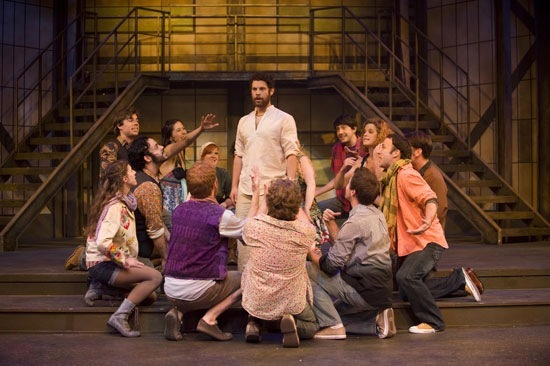 Sitting amongst the mostly 40+ crowd, gathered for the near capacity performance of Jesus Christ Superstar at the Theatre at the Center, I wanted to love this show. The stage-to-movie musical is certainly a familiar one, with two of the songs – the title song and “I Don’t Know How to Love Him” – making it to the Top 10 in the 70’s when it first debuted. In the end, however, the show is a mixed bag. Musically, the range and quality of voices is quite amazing. Max Quinlan (Jesus) goes from low bass to high falsetto with amazing ease, as does Joe Tokarz as Judas Iscariot, the counter lead. Problems arise, however, with the gigantic thrust space and the overzealous back-up orchestra that succeeds in swallowing up poor Jesus. These elements tacitly become the superstars; Jesus just a set piece. Given that the score is extremely challenging and the cast is vocally exquisite, it’s unfortunate that dynamically this disparity exists. 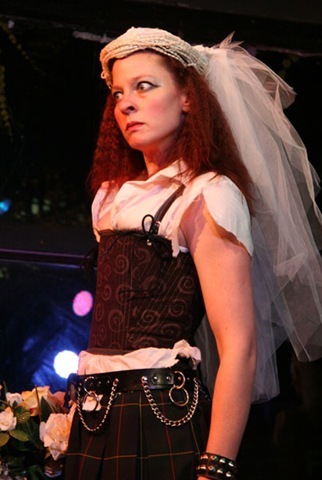 The actors are isolated and disconnected, both from each other and from the audience. 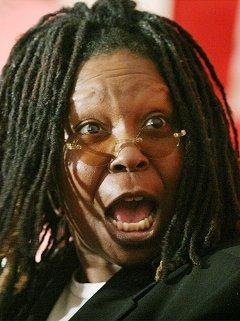 Experts say that much of acting is “reacting,” unfortunately there’s far too little of the latter in this Superstar. This distancing of the audience is more of a directorial decision than actor disconnection. Indeed, director Stacey Flaster seems to be aiming for distance rather than intimacy. Objectively, this works with Sanhedrin. When it comes to Jesus, however, one never gets as close as preferred. Indeed, there are moments of splendor, but overall the sheen is more matte than glossy. For the most part, the First Act lacks inspiration. After the introduction of the Apostles – which is staged more as a “love in” – there are signs of better performances to come. Audrey Billings‘ (Mary Magdalene) rendition of “I Don’t Know How To Love Him” is warm and tender. 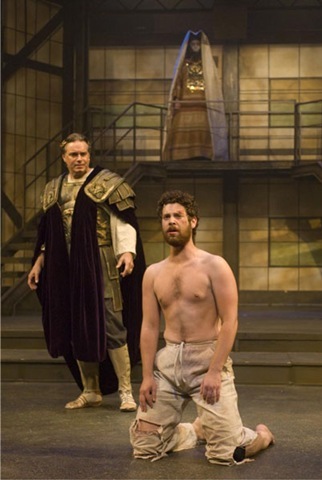 Larry Adams’ Pontius Pilate is spot-on, giving a sense of both the character’s greatness and shortcomings. Adams’ professionalism and stage presence are quite commanding, accentuating what is missing from Quinlan, whose performance shows adroit characterization but seems better suited for film/TV than the stage. Additionally, Steve Genovese steals the show with his second act opener, “King of the Jews” and Jonathan Lee Cunningham delivers a solid rendition as Simon Peter in his credible “Denial” sequence . The best staging exists within “Could We Start Again, Please.” Both Billings (Mary) and Cunningham (Peter) are at their best in this number, and the entire cast shines as an ensemble, including Quinlan (Jesus), making this by far the apex of the play. Barry G. Funderburg’s sound design is flawed. The centralized speaker system – with no side speakers – creates a situation where the orchestra often overpowers the choral work. The make-up design is equally confusing. There must be a method to the madness, but the painted kabuki masking on the Sanhedrin principals amounts to overkill. Conversely, the quasi clown make-up donned by Herod works . Flaster’s choreography is generally exemplary, but doesn’t always fill the stage. And in some instances – notably during Judas’ famous negotiations with the Sanhedrin – actually blocks the action. 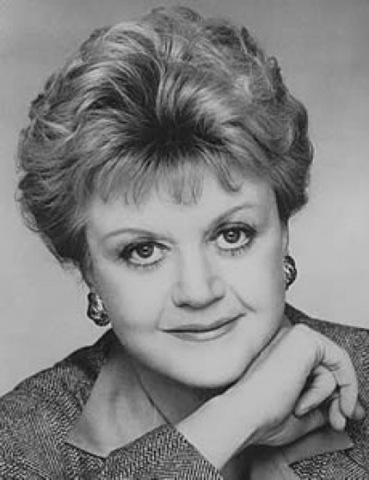 Kudos to Ann N. Davis’ technical direction – rigging and scene changes move seamlessly. Deficiencies aside, if you’ve never seen the show, and/or are in a retro mood, Jesus Christ Superstar is worth two hours of your time – especially the powerful resurrection of the second act. Plopping Shakespeare into a cabaret setting seems like a very risky venture. 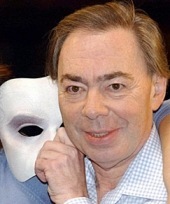 However, so does paring down Andrew Lloyd Weber to fit into a tiny café. Theo Ubique had wild success with that, though, recently reeling in a massive amount of non-equity Jeff Awards for their spring production of Evita. 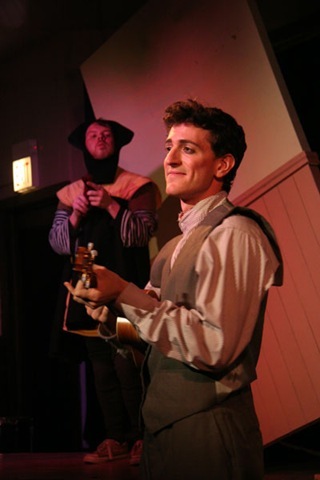 To open this season, the spunky company tackles The Taming of the Shrew, a work a few centuries older than their usual musical flavored fare. The earnest performances tear down the fourth wall and make the intimate space work for the famous comedy, but a flimsy handling of the language keeps this innovative production from reaching its full potential. In the director’s note, Nick Minas describes what Elizabethan theatre-goers would witness at one of William Shakespeare’s original productions: food, musicians, and jugglers— not unlike the cabarets of later centuries. And the cabaret style that Theo Ubique has nailed down works well for Shakespeare’s comedic styling. For a few hours in the cozy No Exit Café tucked away in Rogers Park, clowns, lovers, and ludicrous lords traipse around the tables and drink at the bar. Minas and his cast do a brilliant job with the using the entire space and engaging the audience. The show begins with the backstage curtain being removed, revealing Lucentio and Tranio staring through the windows facing Glenwood Avenue. The use of this window is the highlight of the show. The audience watches characters peer into the café, run from entrance to entrance, and Kate (Jenny Lamb) even graffitis the building. It also adds a street performance vibe to the production: we watch how people walking by react. Whenever possible, the actors reference this unsuspecting audience, seeking support or sympathy. Opening up the window was a truly inspired choice; it adds another facet to the production and totally redefines the performances. However, many of the actors are unable to wrangle down Shakespeare’s language. While the concepts are fleshed out and the cabaret style is vibrantly portrayed, the actual text is muddled and unclear. This serves as a painful reminder that the scrappy little company has its limits. Ben Mason’s Hortensio has a great physicality, but much of his lines are sped through and the story suffers. Ryan Jarosch as Grumio also rushes through some lines, but no one in the cast has a great grasp on Shakespeare’s words. More attention should have been paid to studying the verse. Considering the text is already full of puns and references that don’t make instant sense to a modern audience, failing to give it the proper respect can be disastrous. Fortunately, the cast is talented and charismatic enough that some of the hurried or imprecise lines can be forgiven, but these missteps add up and blur the story. Theo Ubique has played up the original compositions by Ethan Deppe that appear throughout the production. Much of the music is acapella and has a fun, carnival-like atmosphere. A few monologues are turned into song lyrics, these feel more unnecessary than enlightening. The production is also filled with sound effects—cymbals, slide whistlers, shakers of various kinds—that are used throughout. This adds a “Loony Toons” quality to this “Shrew,” but they are used too often. Some restraint would make this stylistic choice a lot funnier. Besides stumbling with the language, the performances are pretty solid. 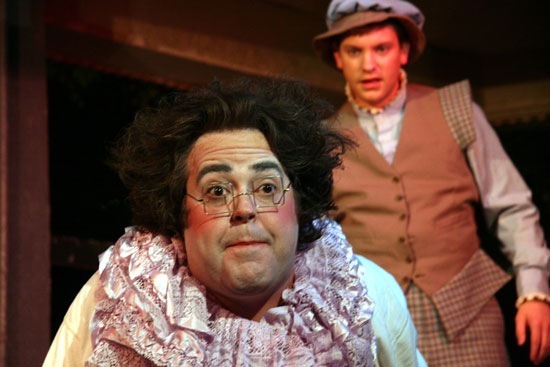 Jeremy Van Meter makes a powerful, sexual Petruchio. Lamb’s Kate is terrifying, yet can reach into the vulnerability the character needs. The two match each other’s energy beautifully, and Minas fills their interactions with intensely physical combat and seduction. Matthew Sherbach is cross-cast as Bianca and does a great job capturing her brattiness. This adds another degree of comedy when she is courted by Steve Gensler’s wide-eyed Lucentio. 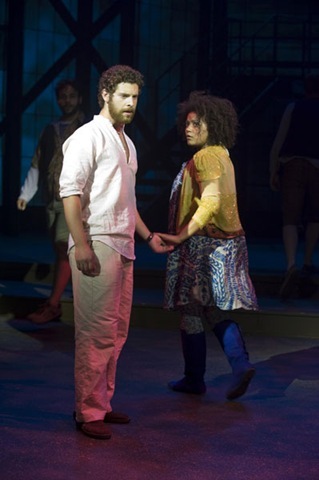 His Tranio (Mike Oleon), though, can’t connect to the audience as well as the rest of the cast, and Oleon’s performance falters. The final flaw with the production comes with Kate’s monologue at the end. If played too seriously, the monologue, describing how women should obey their husbands, comes off as backwards for modern audiences. Lamb and Minas couldn’t find the right way to make the finale work, we’re not sure if Kate has been beaten into submission or is tricking Petruchio. In the end, we’re just left feeling uncomfortable. “The Funniest Farce Ever Written” is how the New York critics described the awesome hilarity and mind-boggling mayhem of Noises Off. This uproarious comedy will run February 19 through March 21, with press performance on February 25. Noises Off follows the on and off stage antics of an inept acting troupe as they stumble from bumbling dress rehearsal to disastrous closing night. Everything that can go wrong does, as actors desperately try to hang on to their lines, their performances, and the furniture. Add a slippery plate of sardines and a slew of slamming doors and you have the most sidesplitting backstage comedy ever put on paper. I Do! I Do! 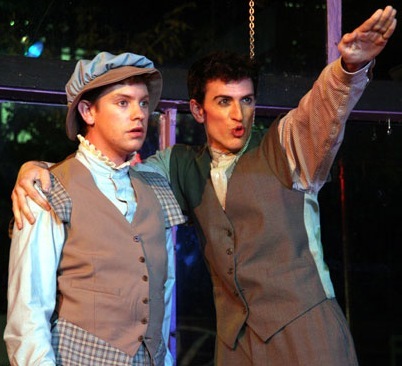 was the first two-person musical ever performed on Broadway, written by Tom Jones and Harvey Schmidt, the creative duo behind The Fantasticks and 110 In the Shade. This remarkably intimate, thoroughly romantic piece, allows audiences into the bedroom of Agnes and Michael, as they try to maintain passion and devotion through the joys and pains, trials and tribulations, setbacks and celebrations of their fifty year marital odyssey. In that time we watch them go through their wedding night jitters, raise a family, negotiate mid-life crises, quarrel, separate, reconcile and grow old together, all lovingly to the strains of a tuneful, charming score which includes the standard "My Cup Runneth Over." I Do! I Do! runs April 22 through May 23 and the press performance will be April 29. Jesus Chris Superstar, the groundbreaking theatrical masterpiece by legendary writing team Andrew Lloyd Webber and Tim Rice, will run July 8 through August 8 with a press performance on July 15. The first collaboration between Andrew Lloyd Webber and Tim Rice to be performed on the professional stage, Jesus Christ Superstar illuminates the transcendent power of the human spirit with a passion that goes straight to the heart. 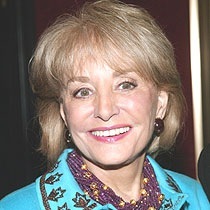 The production features a stirring score including “Superstar”, “Everything’s Alright” and “I Don’t Know How to Love Him”. 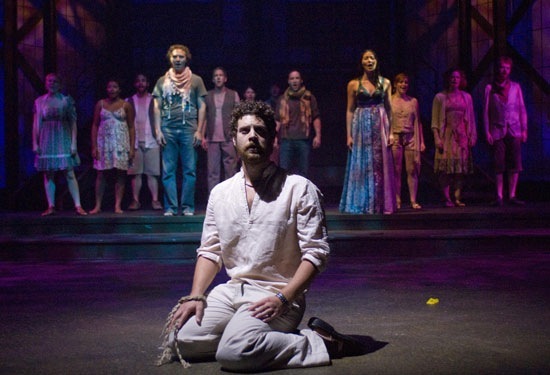 In Jesus Christ Superstar, Jesus is portrayed as a prophet / rock star whose appeal stems as much from the crowd’s energy as from his own inspirational message. Jesus’ meteor-like rise in renown provides, as the title suggests, a parallel to contemporary celebrity worship. As his radical teachings are evermore embraced, Judas increasingly questions the enlightened motives of this new prophet, resulting in betrayal. 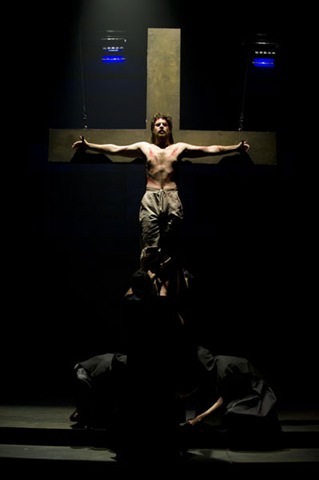 In this production, Christ’s final days are dramatized with emotional intensity, thought-provoking edge and explosive theatricality. Based on the popular 1988 MGM film, Dirty Rotten Scoundrels centers on two con men living on the French Riviera – the suave and sophisticated Lawrence Jameson, who makes his lavish living by talking rich ladies out of their money; and a small-time crook named Freddy Benson, who, more humbly, swindles women by waking their compassion with fabricated stories about his grandmother’s failing health. After meeting on a train, they unsuccessfully attempt to work together only to find that this small French town isn’t big enough for the two of them. So they make a bet: the first one to swindle $50,000 from a young heiress, triumphs and the other must leave town. What follows are a series of schemes, masquerades and double-crosses in which nothing may ever be exactly what it seems. This Tony Award winning musical will run September 9 through October 10. The press performance will be September 16. Kris Kringle takes on the cynics among us in It’s Beginning to Look a Lot Like Christmas, a musical adaptation of the popular holiday favorite “Miracle on 34th Street ”. In his inimitable style, Meredith Willson, the author of The Music Man and The Unsinkable Molly Brown, tells the classic story of a white-bearded gentleman claiming to be the real Santa Claus as he brings about a genuine Miracle on 34th Street . Spreading a wave of love throughout New York City , this man inspires the city, fostering camaraderie between Macy’s and Gimbel’s Department Stores and convincing a divorced, cynical single mother, her somber daughter and the entire state of New York that Santa Claus is no myth. It’s Beginning to Look a Lot Like Christmas runs November 11 through December 12, with the press performance on November 18. 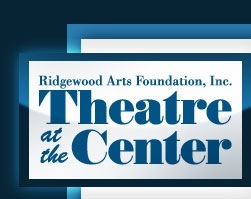 Founded in 1991, Theatre at the Center is a year-round professional theater at its home, The Center for Visual and Performing Arts, 1040 Ridge Road , Munster , Indiana . 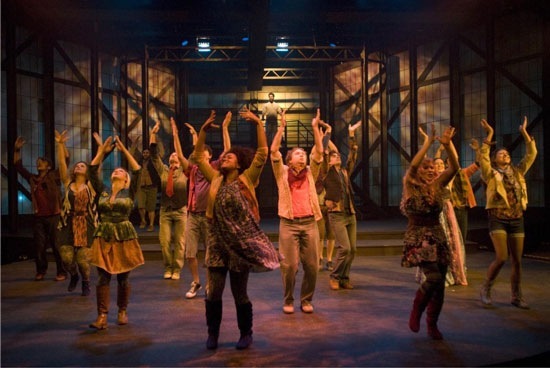 Theatre at the Center is conveniently located off I-80/94, just 35 minutes from downtown Chicago . For a complete list of all the stage shows that Hal Prince has been involved in, starting with the 1950 “Ticket Please!”, where Mr. 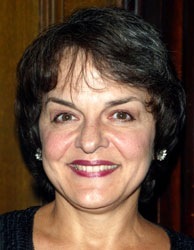 Prince served as assistant stage manager, click on “Read More”. Broadway royalty pay their respects to Gerald Schoenfeld, head of Schubert Organization. 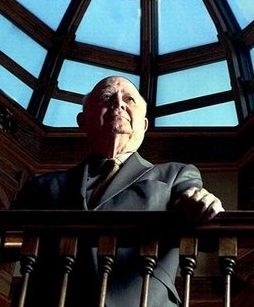 Theater royalty from Angela Lansbury to Helen Mirren to Andrew Lloyd Webber turned out Monday to remember Gerald Schoenfeld, head of the powerful Shubert Organization, Broadway’s biggest landlord. 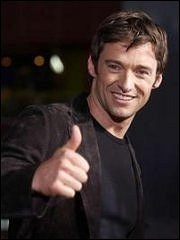 “We called him ‘chairman,” simply ‘chairman,'” Hugh Jackman said in welcoming the celebrity-packed crowd that included Henry Kissinger and Barbara Walters to the memorial service at the Majestic Theatre, home of “The Phantom of the Opera,” one of Schoenfeld’s biggest hits. Schoenfeld’s mantra was that if you really believed in something, then nothing and nobody should get in the way of you realizing and achieving your dream. This theme was echoed throughout the nearly two-hour service, which interspersed speeches with musical numbers from shows — both hits and misses — the Shubert Organization helped bring to Broadway. Speakers honoring Schoenfeld were Jeremy Irons, Whoopi Goldberg, Marvin Hamlisch, Tim Rice, Bjorn Ulvaeus and New York mayor Michael Bloomberg. And Schoenfeld got the last word. The afternoon event ended with a video of the producer singing “Jerry’s Turn,” a spoof of “Rose’s Turn,” the climactic number in “Gypsy” and considered one of musical theater’s great show stoppers. It stopped the show again at the Majestic.